Is Silent Hills about aliens? 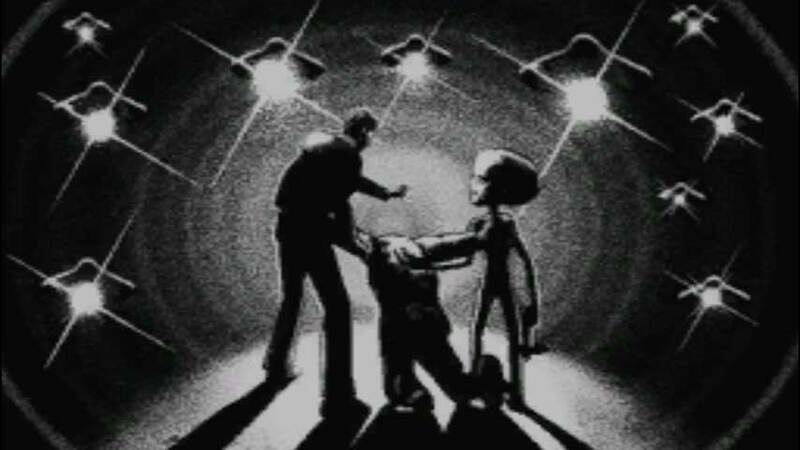 If Silent Hills boils down to “aliens” it wouldn’t be the first time the series has pinned its weirdness on extraterrestrial visitors. Silent Hills demo P.T. includes a Swedish-language radio sequence unlocked if you progress some way through the taster’s secrets. Youtuber SirDaidv Gaming helpfully uploaded a video of the radio sequence, and when gamers helpfully supplied a translation, he added English subtitles. Since many of you won’t understand the transmission, it doesn’t seem like much of a spoiler to discuss its content, but look away now if you don’t want to hear about it. The transmission makes several mysterious references to beings coming to “our world”, and taking charge of authority figures like the police. While this could mean ghosts or demons or similar, there’s a later reference to a radio play of 75 years ago. You know what first aired as a radio play 76 years ago? Orson Welles’s story of alien invasion, The War of the Worlds. That sure sounds like aliens to me, then. As series fans probably know, there are multiple alien references in past Silent Hill games. All but two of the core games have what are called UFO endings, among other nods. Whether the alien references and endings in Silent Hill are considered canon is a point of debate, but in general they’re considered jokes, like the dog, Mira. As such, I don’t expect to find out at the end of Silent Hills that “it was aliens”, you know? I think this is probably just a nod to fans. Then again, maybe Kojima thinks its time to seriously explore that theme? You can check out the radio transmission in the video below, but seriously, if you haven’t yet played P.T., don’t do it! Go in spoiler free and experience it for yourself. If you’re interested in speculation on what Silent Hills will be about, this great fan video unpacks a lot of detail and posits and interesting theory. Again, you shouldn’t watch that if you haven’t played P.T.